Lately I’ve been talking a lot about freezer foods — keeping the freezer stocked, saving time and money by cooking from the freezer, and more. And apparently all of you are very interested in freezer foods because I’ve received all kinds of questions, asking what foods you can and cannot freeze. Here’s my list of freezable foods. I’ve personally had success freezing everything on the list below. However, I’m always looking for more things to freeze, so if you know of anything I missed, please share your suggestions in the comments below. I’ve been known for baking huge batches of sweets in one day and then freezing them for our enjoyment over the next few months. This save me tons of time — we LOVE our sweets! 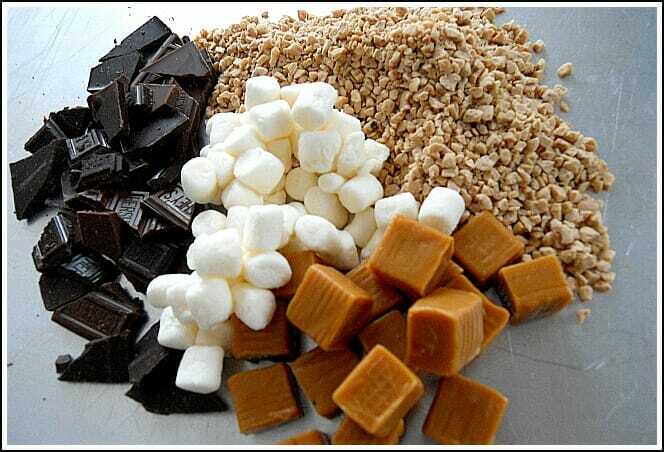 Brownies & Cookies: Yup, I do it all the time. Just put them in resealable bags or storage containers with tight-fitting lids and they’ll last as long as you can resist them! Cupcakes & Cake: Yes, I’ve frozen cupcakes and even full cakes! You can frost cakes before or after freezing them, but if you use store-bought frosting, you’ll want to wait to frost them until after they defrost…trust me, I know! Granola: We love homemade granola but if I’m going to make it, I only make a huge batch….and then freeze it in mason jars or zip-top bags. Pies: I don’t usually freeze pies, but if you do, just make sure to freeze them BEFORE you bake them. Chocolate: I store all my baking chocolates in the freezer because I think they keep for much longer this way and taste “fresher”. Plus it frees up more space in my cabinets. Nuts: I store all our nuts in the freezer to keep their oils from going rancid. I first heard this tip from Rachel Ray and it seems to work — so it must be true! 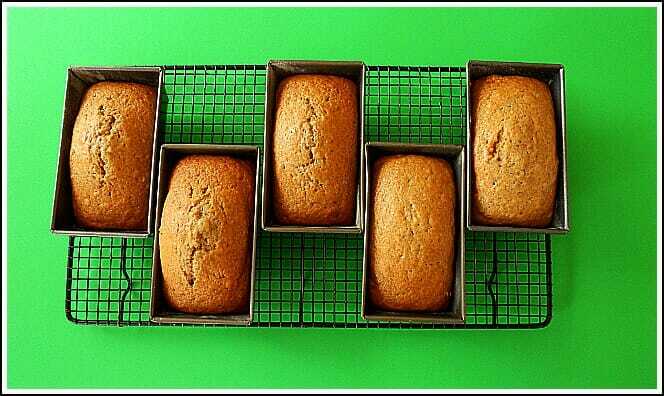 Flour and Sugar: While it’s not necessary, I often freeze my flour and sugar — especially in the summer when our house is more humid. I’ve saved a bunch of money by purchasing dairy products in bulk and freezing them. From my experience, most dairy products should keep for at least 6 months. Butter/Margarine: No trick here, just stick the whole package in the freezer and remove when you’re ready to use. Block Cheese: I freeze cheese ALL the time, just remember to slice and shred it before you freeze it, otherwise it will crumble. Cream Cheese: Believe it or not, you can freeze cream cheese. It might be a bit “lumpy” after it defrosts but it still tastes the same. Milk: I don’t have the need to freeze our milk on a regular basis, but I do it whenever we go on vacation. Just remember to pour about 1 cup of milk out before freezing. Yogurt: Freeze yogurt for a delicious, healthy treat. I let it defrost a bit before eating so it’s really creamy. 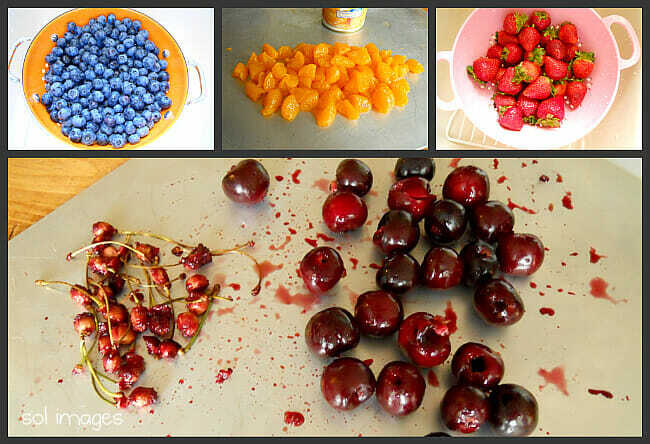 Before freezing fruit, make sure it’s washed, dried, and divided up into smaller portions. This will make it easy to quickly grab what you need without defrosting the entire batch. Fruits should keep for up to a year if properly sealed. All Fruits: You can pretty much freeze any fruit you plan to use in smoothies because it will get mashed up anyway, however, don’t plan on freezing fruit simply for eating — it will be really soggy. Berries: I freeze all kinds of berries for pancakes and smoothies. I also keep 2-cup containers of crushed berries to use for making jam, ice-cream toppings or, for berry shortcake. Jams and Jellies: I usually can my jam, but my mom and mother-in-law always freeze it. Freezing jam is quicker and easier…so if you have the freezer space, here are 20 delicious freezer jam recipes to get you started! Herbs: I freeze fresh herbs in ice-cube trays to use for soups, stews, and casseroles later in the year. Here’s a free Herb Reference Sheet that explains how you can use and preserve different herbs. All Veggies: To save myself some time — here is a link to my Vegetable Freezing Worksheet. 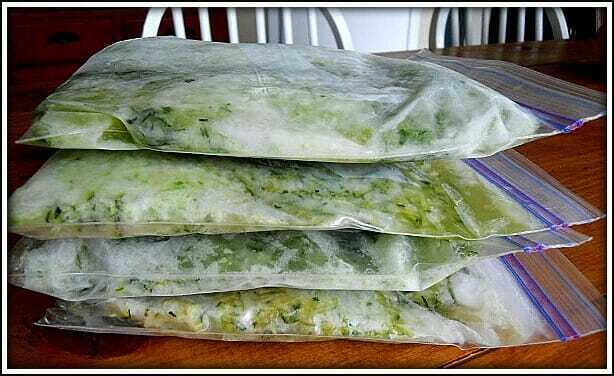 It’s a list of 20 different vegetables and how to freeze them … and you can print it for free! I’m always making double batches of our favorite foods to store in the freezer. Then on busy days, I just defrost one in the morning, and it’s usually ready by dinner time. Soups, Stews, and Broths: I divide these up into 1 or 2 cup portions so they defrost quicker. Here are some of my favorite soup recipes. 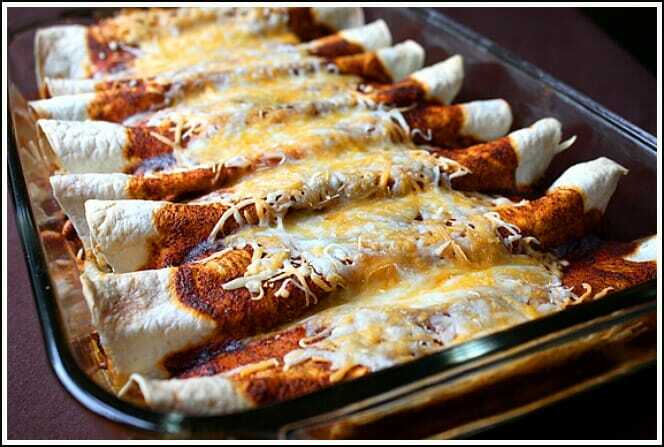 Casseroles: I’ve frozen everything from lasagna and fajitas, to enchiladas, chicken dishes, and more! Just make sure all the ingredients are fully cooked before you freeze it. When you’re ready to eat it, just defrost and bake as normal. Pasta Sauce: We usually never go through an entire batch of pasta sauce in one meal so I just pop the leftovers in the freezer for the next time we eat pasta. I’m sure there are so many other foods you can freeze, but these are the ones I have personally tried with much success. I’d love to learn about any other freezer foods, so please share them in the comments below! UPDATE: I’ve answered many of the questions in the comments over here! I made a sauce with soya sauce in it and it wont freeze in the freezer, is it stiff safe to heat and eat? Thanks for sharing all you do – a lot of work. Just curious, on the Vegetable Freezing Chart there are a couple items, like onions and peppers, that say you don’t have to blanch them but it still gives a time period for blanching/cooling. Am I missing something? Any Idea if you can freeze pickles like pickled ginger ? I freeze eggs. i crack them into my silicone cupcake forms. Then freeze. The silicone makes it easier to remove them and then I pop them in a freezer. Then I use them as for baking or scrambled eggs and quiches. Can you freeze cream cheese. How long does it keep in refrigerator? Whole lemons freeze beautifully. Thaw one out and it juices easily and you can still zest the skin. I would just cook them, mash them, and freeze them in 2-cup portions. I’ve got some Feta and Ricotta in the freezer now. I think I have done ricotta succesfulky before, but any expierce with feta and what I should expect? I love cheese!! I would be interested in knowing, if I can freeze Fava beans after they are blanched and how long can they be stored in the freezer? I was given a large jar of grape jelly but only used a little out. Can I put it in smaller containers and freeze it. I only use a little at a time. I think it would be fine in the freezer — however, keep in mind jam and jelly will stay good for months in the fridge! This is the best list of freezable foods I have ever come across! I love freezing – it just makes so much sense! Will definitely be saving this for future reference! I have can vegetables in gallon sizes “Cans ” is it possible to open , divide into smaller portion , can I freeze these delmonte vegetables ? pie or use it for a fish dinner. As we are now only a family of two we find that we always seem to throw more out than eat. Can I freeze A Lamb Roast with Peas Potatoes Carrots Cabbage Pumpkin ? A note about the pies… I am the only one in my house who eats pecan pie, so I bake the pie, then freeze individual slices. Works great! I haven’t tried it with other pies, though. I do the same with my cheesecakes. I love your lists, it helps a lot. To add to your list; I freeze my brown riced, it was a pain to cook and have half of it go to waste. I was wondering if it was safe to freeze beans after they have been cooked. I eat a lot of black beans and kidney beans from cans and the prices are crazy. I rather cook them myself. I have frozen cooked dry beans and works well. Saves lots of money by cooking dry beans. I don’t like canned beans. I have a seal-a-meal too which helps. Found rolls of the bags online much cheaper than they sell in the store. Only catch is buying a larger roll. But now that I am freezing more cooked items in comes in very handy. Hope this helps!! A big fan of freezing everything. I never use zip lock style bags. They can’t keep the product from freezer burn or for long periods of time. Breads, meats, whole vegetables I prefer the use of food saver bags. They don’t get squished preferring. Cheese I use a food saver container and put in the frig. 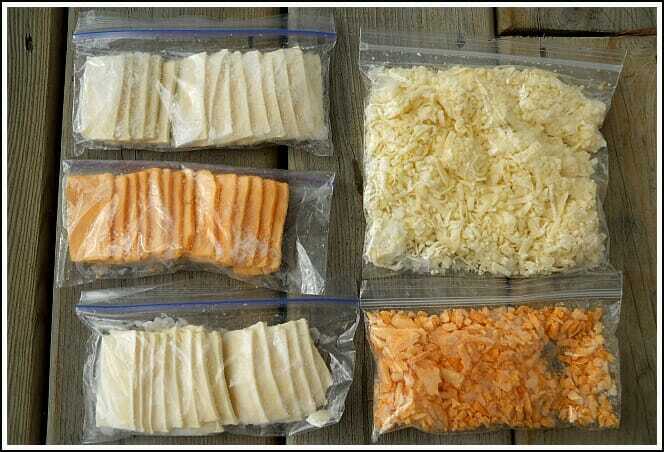 Blocks of cheese in a food saver bag in the frig works well too. My cheese will last months in the frig. But cheese never last long in my home. vaccum sealer is very useful in storing food and keeping it fresh for long time. It is very helpful for me to keep my fruits and vegetables fresh.